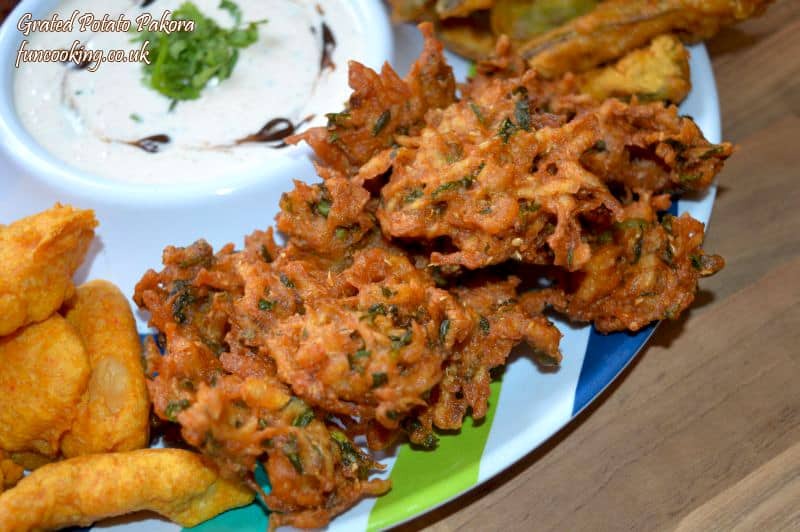 Pakora, also called pakoda, pakodi, bhajiya, bhajji is a fried snack. 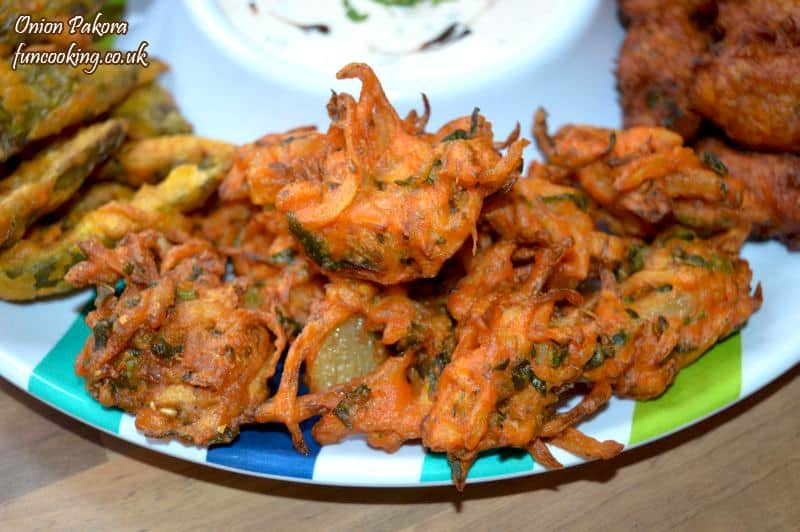 Originally from the Indian subcontinent, it is a popular snack across the Indian subcontinent, especially in India, Pakistan, Bangladesh and Nepal. 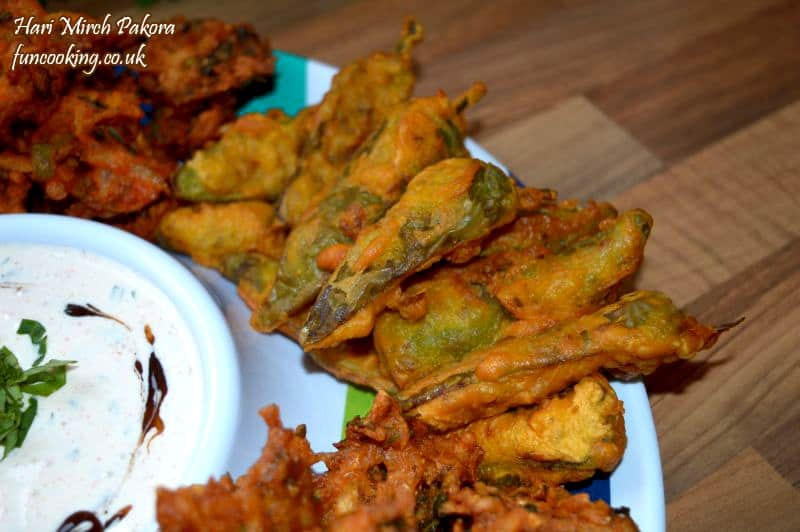 You can also say it gram flour fritters. 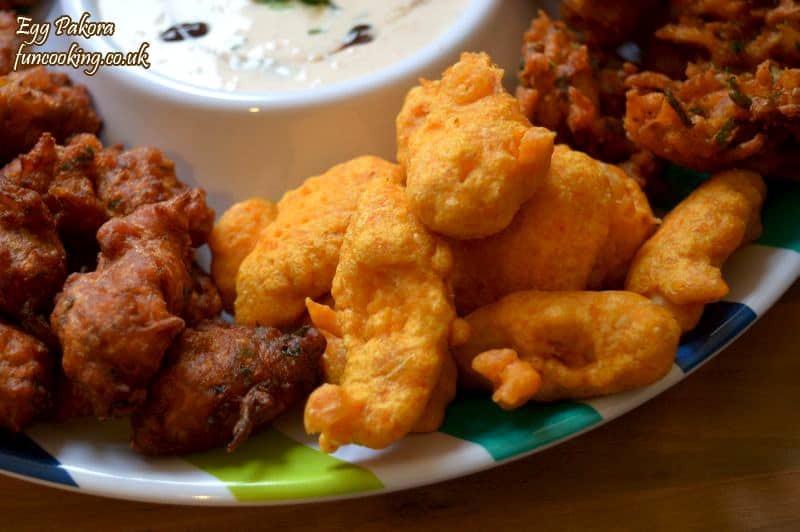 I have never seen a Pakistani in my life who don’t love pakoras. Every one likes this delicious goodness. Best thing about it is you can make it so quickly and easily. You can always made it from already available ingredients in our kitchens. 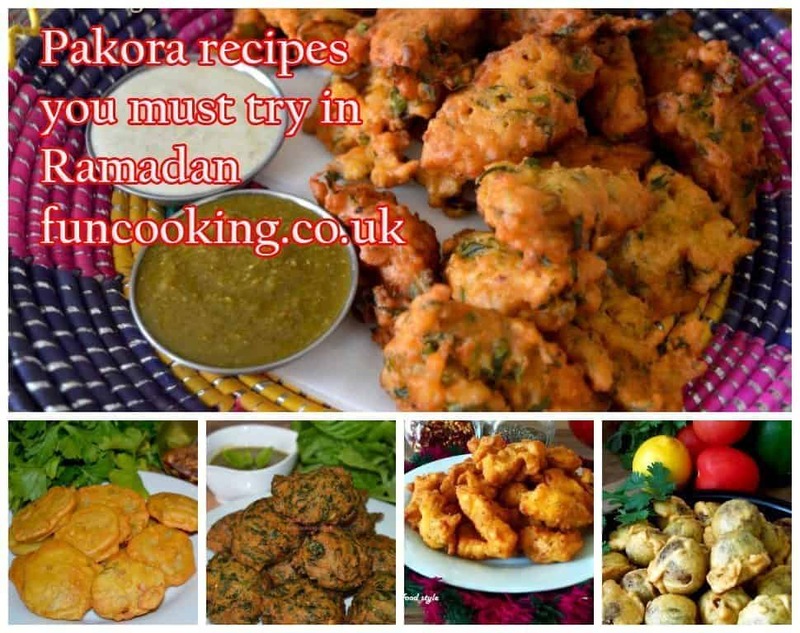 Ramadan/Ramzan is here and in Pakistan people love to have pakoras on their Iftar tables. 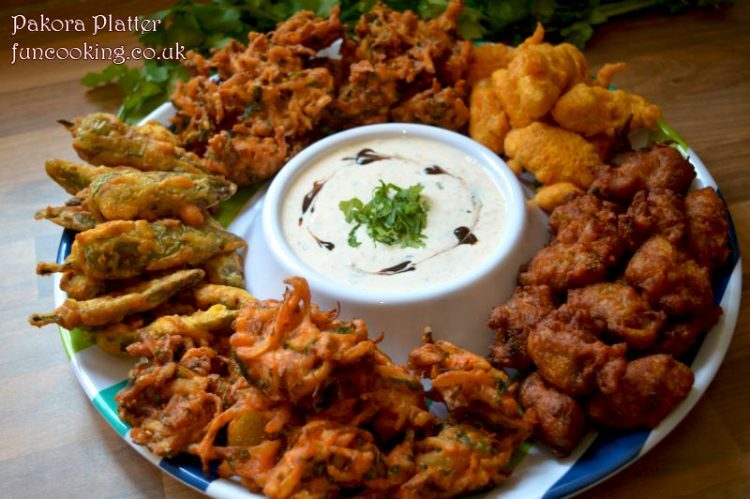 I had already shared so many recipes for pakoras in my blog but this time I made it in 5 different styles in 1 platter. Isn’t it looking beautiful. When I finished making it I was looking at my platter and felt so good. Yes this is our culture and food, we love it. So beautiful and tempting. 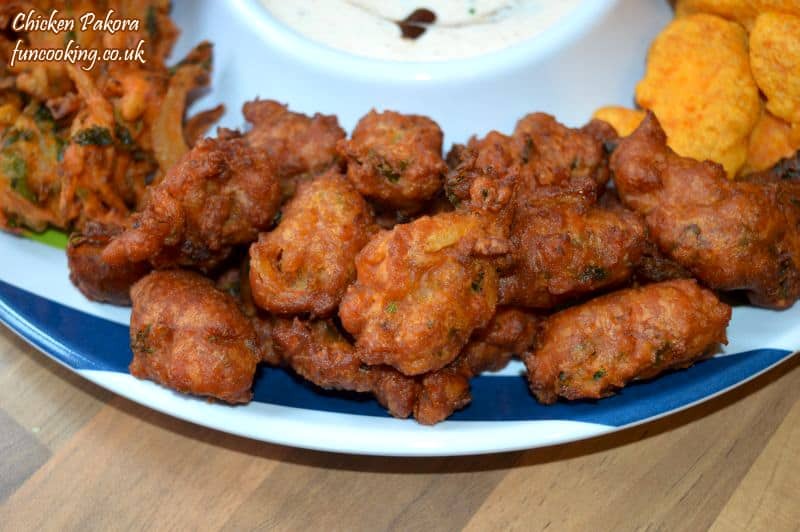 I served it with a quick yogurt dip, you will see recipe below. 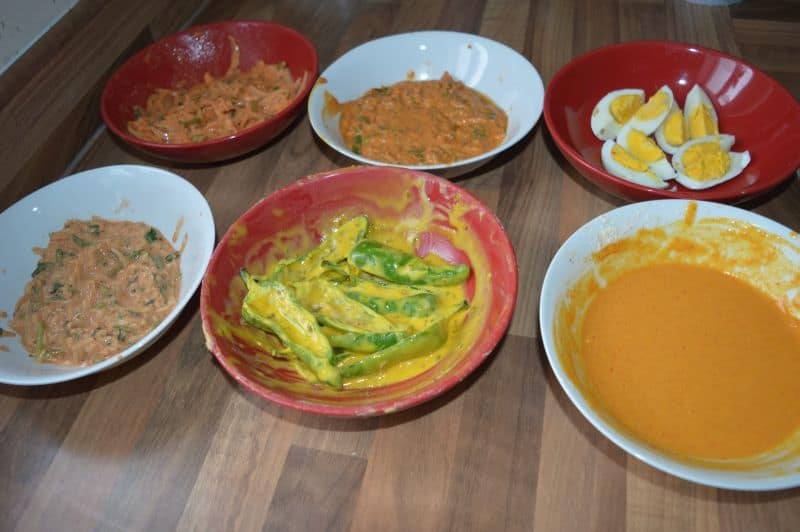 But you can also serve it with other yummy dips like these. 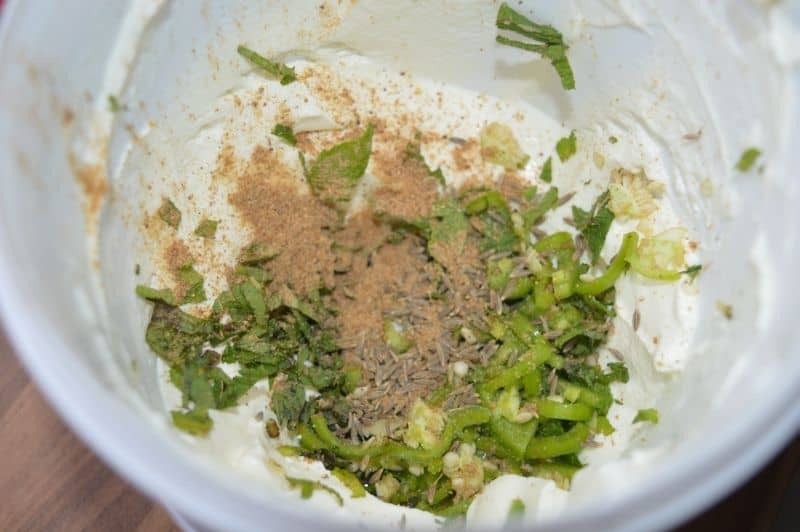 I made a quick raita by adding chopped mint leaves, green chilies ,black rock salt, chat masala, garlic paste 1/4 tsp in 1 cup yogurt. 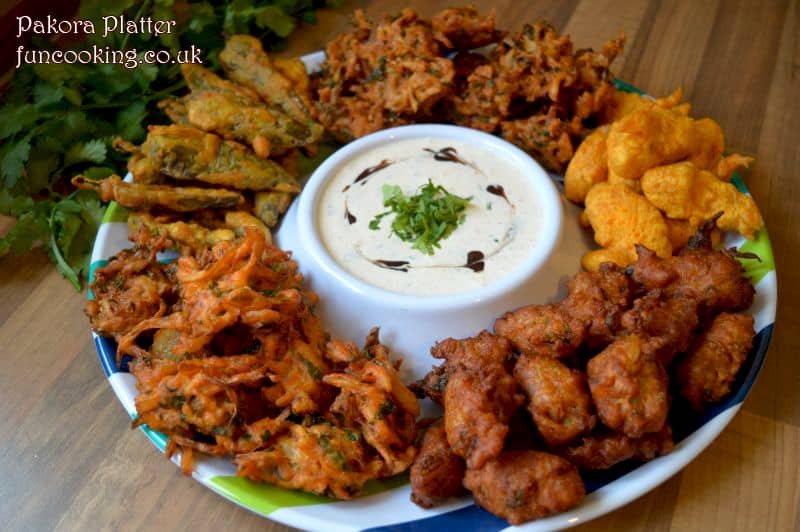 Pakora Platter is ready with quick raita.